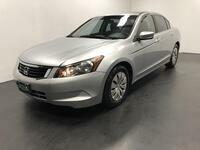 If you’re looking for a used Honda in the Longview or Texarkana area, you’ve come to the right place. At our AutoSmart dealerships, conveniently located in both the aforementioned cities, we offer a variety of excellent Honda vehicles. 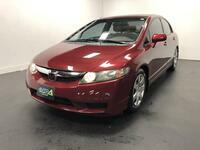 If Honda is not what you’re looking for, we also offer a wide range of other makes and models. Key qualities that come to mind when one thinks of Honda vehicles are economy, affordability, environmental friendliness, and safety. 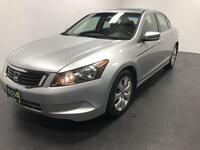 They’re also long-lasting; according to Polk Vehicle Registration statistics, Honda had more vehicles on the road from 1988 to 2012 after twenty-five years of service than any other automotive brand. Every year, Honda vehicles rake in the awards. 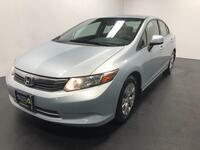 The Honda Accord, Civic, Fit and Insight all recently received prestigious acclimations from Car and Driver, Kelley Blue Book, U.S. News, Edmunds, and more. Honda vehicles have received many Top Safety Pick+ ratings from IIHS over the years, along with NHTSA 5-Star Safety Ratings, showcasing the brand’s dedication to both safety and quality. 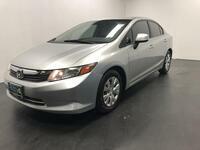 All these factors help make Honda vehicles great candidates for buying used. They age well, and their quality is apparent even years after their debut. Feel free to peruse our current (and always changing) selection. If you are looking for something specific that doesn’t show itself there, let us know and we’ll do our best to track a good one down for you. At AutoSmart Group, we pride ourselves on always providing quality, reliable vehicles that you can depend on. Our team is happy to help shoppers through the full buying process, from model research to test drives, financing, warranties, and purchase. Having helped drivers acquire quality vehicles for over fifteen years, we care about upholding our reputation for providing great vehicles and an enjoyable buying experience for our customers.